Inside West Park Mall across from Barnes & Nobel. 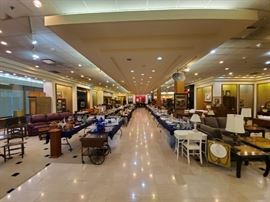 We do our best to insure every item in pictures posted is there on first day of sale. In RARE circumstances, a client will remove an item. In that case we will do our absolute best to update pictures. 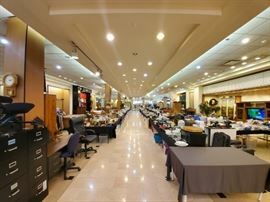 All items must be picked up by 3:00 pm Saturday, unless special arrangement have been made. A 2.75% payment processing fee will be automatically added for purchases using a credit or debit card. For manually entered transactions (phone sales), a 3.5% + 15 cents will be assessed. These are fees 'Square' charges to use their service. Thank you! 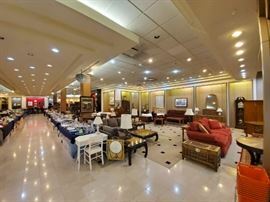 We have priced hundreds of items - so many unique things in this sale! 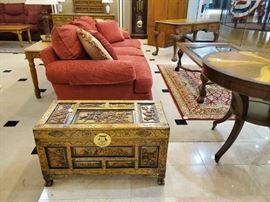 This coffee table is beautiful - in excellent condition. 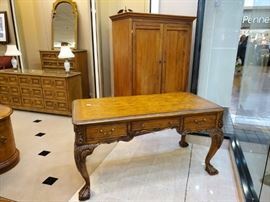 Executive Conference Desk - excellent condition! 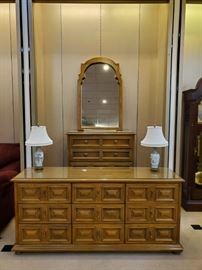 Mid Century Modern dresser, mirror, and chest! Corduroy burgundy couch and oversized matching POWER chair. The couch has recliners on both ends. Great condition! This sectional has only been used a few months. We added some accent pillows that make it look even better! EXCELLENT condition! 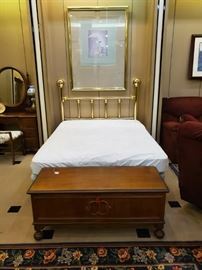 Brass queen bed and cedar chest. Another nice antique piece - and love this picture! 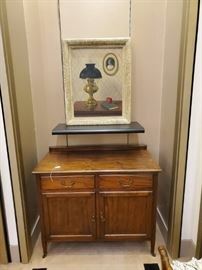 This piece is just about our favorite antique in this sale! 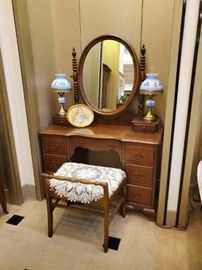 The needlepoint chair is so nice with it, and comes included in the set. Smaller entertainment center. And that rocker!! LOVE! 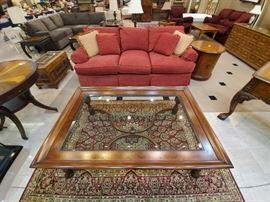 The glass tables on this rug are hard to see - but they are in great condition and would accent a room well. Counter height table and four chairs - Purchased only a few months ago for $1,400. A great set! LazyBoy Recliner - great condition! Heavy wrought iron dining set with glass top - 5 chairs! Lots of pictures and lamps. This oak set was made in Tennessee - especially for our client. King bed and mattress set! Lots of bright colorful dishes! Ready for spring! Amber Depression, and cobalt blue. The white dishes are Wawel - made in Poland. More cobalt blue and so many pieces of crystal. Adorable antique table and chair - both in great condition and very usable. 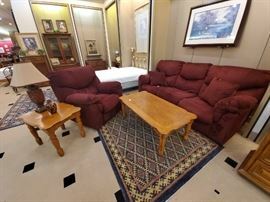 Leather couch - nice - (with a recliner on each end) and coffee/end table set. Moon & Stars, vintage Planters Peanut Jar, Fenton, and hand painted glassware! Two gorgeous hand painted lamps! Cherry dining table and four chairs. The hutch in the background could also be used as a curio in a bedroom, living room, etc. I personally love the size - it's a thinner piece, which doesn't take up as much room. 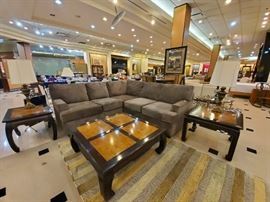 Mid Century Modern Sectional - that is in GREAT CONDITION! The round standing up piece in the back is actually a light.